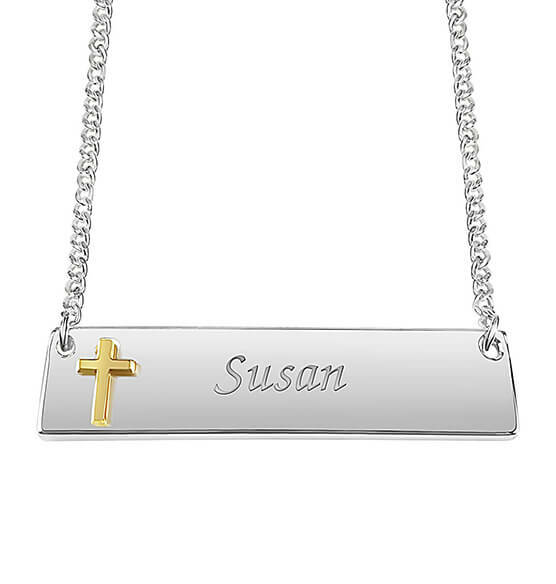 Beautiful Personalized Horizontal Bar Necklace with Cross is the perfect canvas for personal inspiration. Plenty of space for eye-catching personalization in upper and lower case. Specify name. Bar measures 1 1/2" long by 1/4" high.